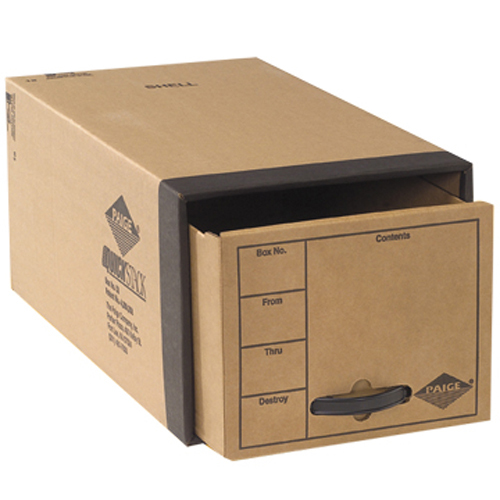 Solid - Our transfile boxes are made with a premium grade paper, extra thickness of corrugated and a stainless steel reinforced frame to ensure durability and strength. Speedy Access - The Quick Stack Drawer system gives you easy access to more files at one time. Systematic - Our specially designed plastic clips connect all boxes in the front and back creating a cabinet system which will not topple when drawers are opened.